William Sterner was born on 23 June 1845 in Lehigh County, Pennsylvania. He was the son of Pennsylvania natives, Peter Sterner (1792-1870) and Catherine (Zimmerman) Sterner (1806-1873). According to 1850 and 1860 federal census records, he resided with his parents and his brother, Franklin, in South Whitehall Township, Lehigh County, Pennsylvania. In 1860, the boys’ father was employed as a yeoman. Samuel Solon Sylvanus Sterner (born in Lehigh County on 1 February 1879, married Mary Althouse sometime between 1900-1910, died in Reading, Berks County on 31 March 1929). A farmer and resident of Lehigh County at the age of 20, William Sterner enrolled for a one-year term of Civil War military service on 14 February 1865 at Norristown, Pennsylvania. Joining up with his regiment from a recruiting depot on 20 February 1865, he then mustered in for duty the same day (14 February) as a Private with Company K of the 47th Regiment, Pennsylvania Volunteer Infantry. Military records at the time of his enlistment described him as being 5’11” tall with brown hair, blue eyes and a fair complexion. His timing for enlistment was fortuitous because it made William Sterner an eyewitness to one of the most turbulent times in American history. His new comrades in the 47th Pennsylvania Volunteers, having been assigned in February 1865 to the Provisional Division of the 2nd Brigade of the Army of the Shenandoah, had been ordered to move, via the Virginia towns of Winchester and Kernstown, back to Washington, D.C. By 19 April 1865, the 47th Pennsylvania Volunteers were responsible for helping to defend the nation’s capital – following the assassination of President Abraham Lincoln. Encamped near Fort Stevens, they received new uniforms and were resupplied. Letters home and later newspaper interviews conducted by reporters with survivors of the 47th Pennsylvania indicate that at least one 47th Pennsylvania Volunteer was given the high honor of guarding President Lincoln’s funeral train while others may have guarded the Lincoln assassination conspirators during the early days of their imprisonment and trial. In addition, as part of Dwight’s Division of the 2nd Brigade of the Department of Washington’s 22nd Corps, the 47th Pennsylvania also participated in the Union’s Grand Review on 23-24 May. 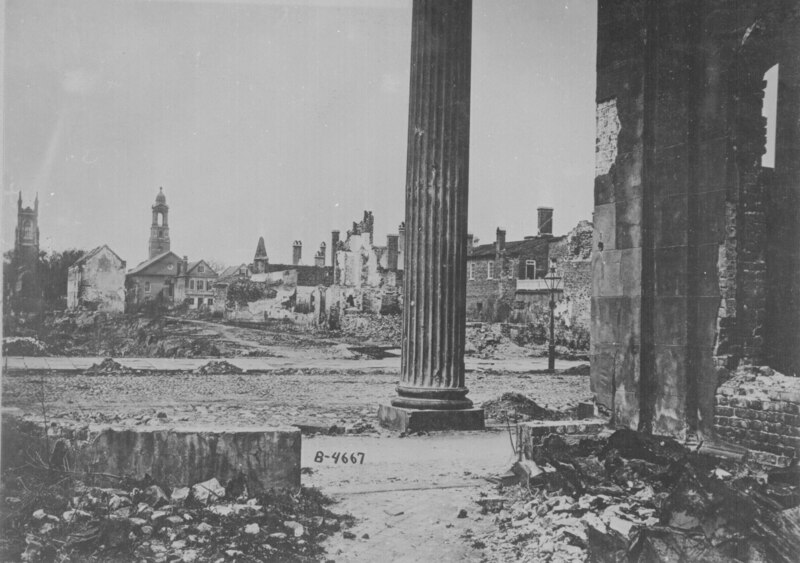 Ordered to duty in the Deep South for the Summer of 1865, the men of Company K and their fellow 47th Pennsylvanians served in Savannah, Georgia from 31 May to 4 June. Again in Dwight’s Division, this time they were with the 3rd Brigade, U.S. Department of the South. For the majority of Private William Sterner’s fellow company members, this was a return trip to a region which had shown them great hardship during the second, third and fourth years of the long war. All too many of their former comrades had died – during the Battle of Pocotaligo, South Carolina (October 1862) and in Louisiana during the Battles of Sabine Cross Roads/Mansfield and Pleasant Hill (8-9 April 1864) – or had succumbed later to their wounds from rifle and cannon fire. Other unfortunate men had been captured and marched off to Confederate prisons where some perished while others languished until their release – freed only to never be the same again mentally. Still more had been claimed by the invisible devil of disease. Congestive intermittent fever, dysentery, typhoid, or yellow jack had felled men in Louisiana’s bayous and South Carolina’s swamps – and at what should have been “safe harbors” – the federal installations of Fort Taylor in Key West and Fort Jefferson in the Dry Tortugas, Florida and hospitals in New Orleans, Louisiana. So, they were saddened – but not surprised – when still more men died from disease during their Deep South duties of 1865. Taking over for the 165th New York Volunteers in July, Private William Sterner and his fellow 47th Pennsylvanians resettled in new quarters in Charleston, South Carolina. A number of men were housed at the former mansion of the Confederate Secretary of the Treasury. Duties during this phase of service were frequently Provost (military police) or Reconstruction-related (repairing railroads and other key regional infrastructure items which had been destroyed or damaged during the long war). Finally, beginning on Christmas day of that year, Private William Sterner and the majority of men from Company K, 47th Regiment, Pennsylvania Volunteers began to honorably muster out at Charleston, South Carolina, a process which continued for the regiment through early January 1866. Following a stormy voyage home, the weary, soon-to-be-civilians of the 47th Pennsylvania disembarked in New York City. They were then transported to Philadelphia by train where, at Camp Cadwalader on 9 January 1866, the 47th Pennsylvania Veteran Volunteers were officially given their discharge papers. Following his honorable discharge from the military, William Sterner returned home to his wife in Pennsylvania. There, they began life anew, welcoming one child after another to their Lehigh County home: Jeremiah (on 25 July 1868), Mary (in Lowhill Township, Lehigh County on 13 January 1869), Maggie (on 6 September 1873), Robert (on 23 April 1875), and Samuel (on 1 February 1879). Fate, however, appears not to have been kind to the Sterner family during its early days. A U.S. Federal Mortality Schedule noted that a “Jeremiah Sterner,” aged two, died in Allentown in July 1869. The handwriting is unclear on the document, but appears to indicate that the cause of death was “Fits.” Although the names of this child’s parents were not listed on the record, it is possible that this was William and Elizabeth’s child since the family was residing in Allentown at the time (according to the 1870 federal census), and since Jeremiah’s name did not appear on the 1870 or 1880 federal census records for the Sterner family. In 1870, William and Elizabeth Sterner were residing in Allentown with daughter Mary, shown on the 1880 federal census as a one-year-old and the only child of the Sterners. William supported his family as a carpenter. By the time of the 1880 federal census, William and Elizabeth Sterner were residents of North Whitehall Township in Lehigh County, Pennsylvania. The children living with them at this time were: Mary, Maggie, Robert and Samuel. William continued to support his growing family on the wages of a carpenter. In 1886, his oldest daughter married Henry Weidner. Like her mother before her, Mary resided and raised children with her husband in Lehigh County. By 1890, according to the U.S. Veterans’ Schedule, William Sterner had settled in Stettlersville, Lehigh County. Sadly, just two years later, his daughter, Maggie E. P. Sterner, passed away in Lehigh County. She was interred at the Jordan Lutheran Cemetery. Fortunately, joy returned for the Sterner clan that same decade when William and Elizabeth’s son, Robert, married Sarah Meitzler in 1896. Both William Sterner and his wife lived to see the turn of a new century. Their son, Samuel, still resided with them in 1900. On 14 May 1901, Elizabeth widowed William, passing away in Lehigh County. Like her daughter before her, Elizabeth (Acker) Sterner was interred at the Jordan Lutheran Cemetery. Sometime during this decade, William’s son also left the Sterner home. Married to Mary Althouse, he ultimately settled with his wife and children in Reading, Berks County, Pennsylvania, where he was employed as a puddler with the Reading Iron Company. William Sterner died Sunday of Bright’s disease, at the home of his daughter, No. 1427 Liberty Street, aged 59 years. Deceased is survived by two sons, Robert of Macungie and Samuel of Walnuttown, Berks County, and one daughter, Mrs. Henry Weidner, with whom he resided. The funeral will take place Thursday afternoon from his late home. Services at the house and interment in Jordan Lutheran Cemetery. Rev. Ira W. Klick will officiate. The deceased was a member of the 47th Regiment and a member of E. B. Young Post G.A.R. 3. Civil War Veteran Dead, in The Allentown Leader. Allentown: 15 February 1904. 4. Civil War Veterans’ Card Index File. Harrisburg: Pennsylvania State Archives. 5. Jeremiah Sterner, in U.S. Federal Mortality Schedules. 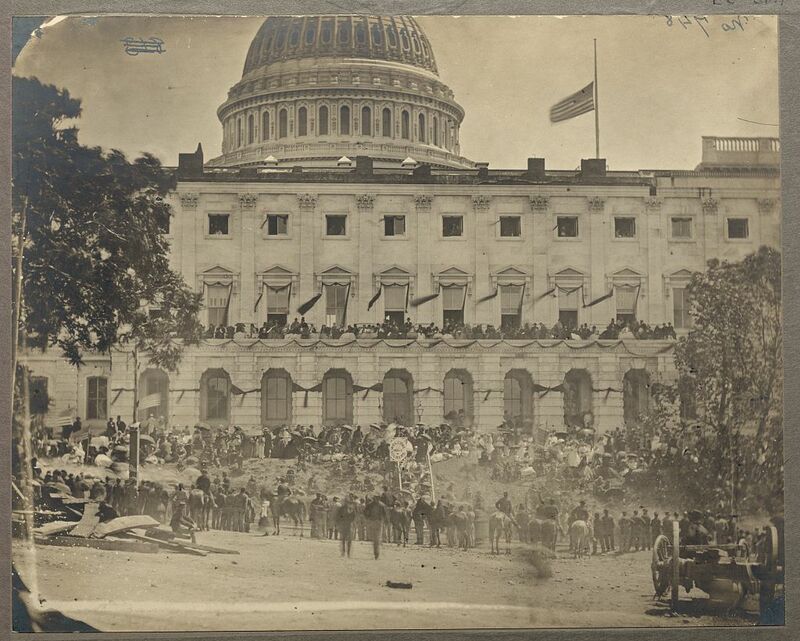 Washington, D.C. and Allentown, Pennsylvania: U.S. National Archives and Records Administration, 1869. 6. Schmidt, Lewis. A Civil War History of the 47th Regiment of Pennsylvania Veteran Volunteers. Allentown: Self-published, 1986. 7. Sterner Family Death Certificates. Harrisburg: Commonwealth of Pennsylvania, Department of Health, Bureau of Vital Statistics. 8. U.S. Census. Washington, D.C. and Pennsylvania: 1850, 1860, 1900. U.S. Veterans’ Schedule. Washington, D.C. and Pennsylvania: 1890. 9. U.S. Civil War Pension (application no. : 501304, certificate no. : 900930, filed from Pennsylvania by the veteran on 4 December 1883), in U.S. Civil War Pension Files. Washington, D.C.: U.S. National Archives and Records Administration.